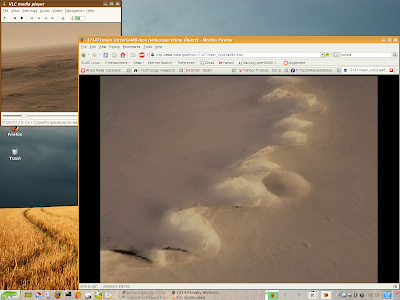 Here's another screen capture, this time playing back two Quicktime movies of a pair of dramatic virtual flyovers of Mars. One was playing in Firefox, the other in VLC. For more details, read the complete story on New Scientist Space.